NEW DELHI — A temple in southern India and one of the world's largest Hindu pilgrimage centers opened its doors to females of menstruating age on Wednesday to comply with a Supreme Court ruling, but women weren't able to enter as hundreds of protesters fought street battles with police to keep them out. 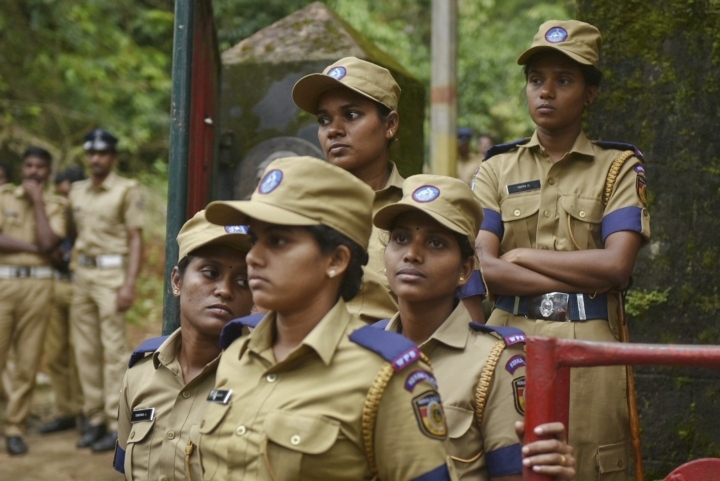 As the gates of the Sabarimala temple were flung open, a crowd of male devotees surged toward the temple. 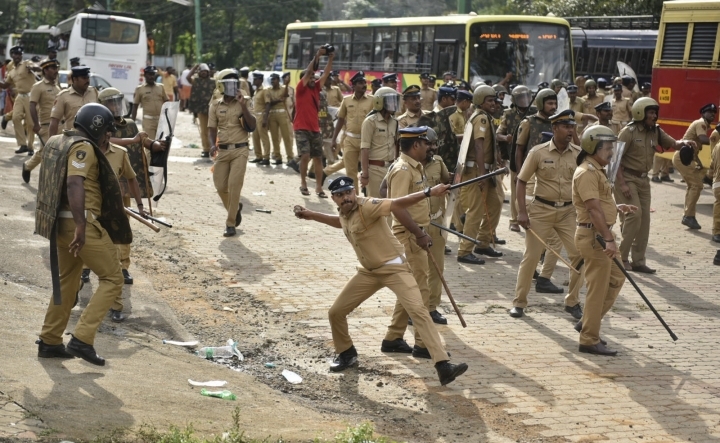 About 1,000 police used batons to try to control the protesters, who attacked them with stones and damaged police and TV vehicles and bullied female devotees to turn back. 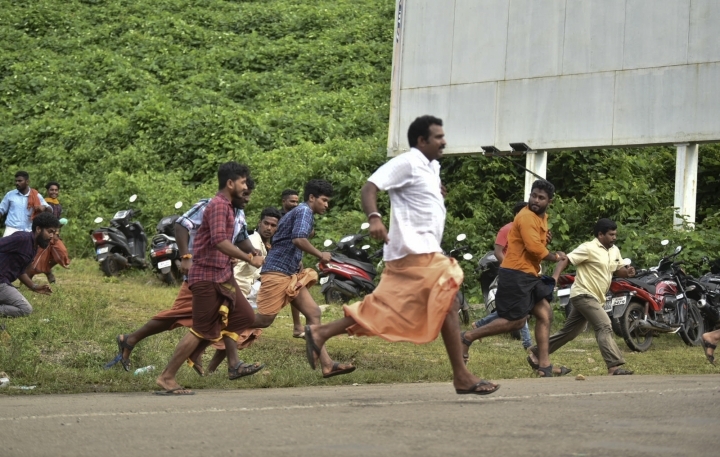 The protesters ran after the media vehicles, pounding them with hands and kicking to stop them from reaching the temple site. The state Industry Minister, E.P. Jayarajan, told the Press Trust of India news agency that at least 10 reporters and photojournalists were injured and their equipment damaged. The temple will remain open for five-day monthly prayers until Oct. 22. 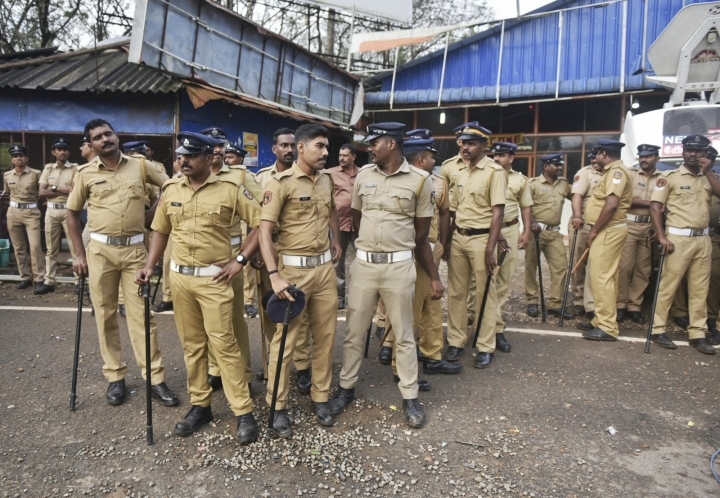 Pooja Prasaanna of Republic TV said the protesters hurled stones at a police van where she and her crew members had taken shelter after their car was targeted, and snatched away officers' batons when they tried to shield them. The New Delhi Television channel reported that about 20 protesters surrounded a bus in which a reporter of The Newsminute channel was traveling and tried to pull her out. Angry protesters kicked and hurled abuses at her, NDTV reported. In 1991, the Kerala High Court confirmed the ban. India's Supreme Court lifted the ban last month, holding that equality is supreme irrespective of age and gender. 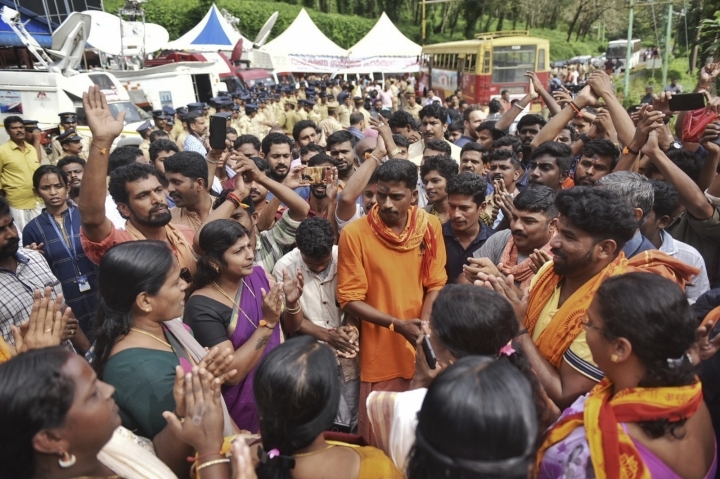 Temple management and the protesters argue that the celibate nature of the temple's presiding deity, Lord Ayyappa, is protected by India's Constitution. Some religious figures consider menstruating women to be impure. Meghna Pant, a female activist, said the celibacy of the deity was not more important than the equality of women. "Who are men to decide where women can go or not?" she said. Supporters of the ban are angry with the state government's decision not to seek a review of the Supreme Court's ruling. India's secular courts have intervened recently in cases in which a religion's gender beliefs were seen as discriminatory.